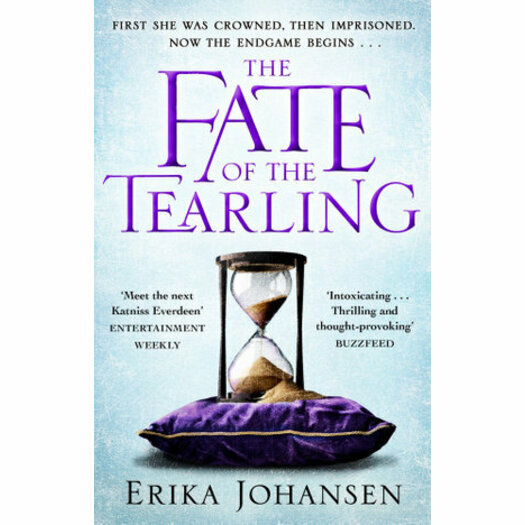 The breathtaking concluding volume in Erika Johansen's thrilling, acclaimed and internationally bestselling 'Tearling' trilogy. Kelsea Glynn returns as this unforgettable trilogy full of magic and adventure is drawn to a thrilling close. Since ascending to the throne, Kelsea Glynn has grown into a powerful monarch and a visionary leader. But in her quest to end corruption and restore justice within the Tearling, she has made many enemies. Chief amongst them is the evil and feared Red Queen, who now holds Kelsea - and her magical sapphires - captive in her castle in Mortmesne, a deal brokered to protect the Tearling from a Mort invasion. But the Tearling needs its Queen, and the Mace, head of Kelsea's personal guards, will not rest until he and his men rescue their sovereign from her prison. Now it is time for the fate of Queen Kelsea - and the Tearling itself - to be revealed . . .